If running is the only physical activity you enjoy doing, and you are asked what your sport was, it may seem reasonable to answer “running”. But is it? The argument whether running is a sport or not is a simple yet complicated one. While some think it should be categorized as a hobby because it doesn’t require much skill, others argue that it can be called a sport. So, is running a sport or a hobby? We’ll first define what a sport is and compare running to that definition. Then, we’ll compare how running measures up to these five pre-requisites. As straightforward as this may sound, further complications arise when the term "physical exertion" is defined. (2) For example, since physical exertion includes any activity that exerts your muscles to keep fit and includes yoga, does that mean that yoga can be considered a sport? Relying on only this definition of a sport is, therefore, insufficient which brings us to the second pre-requisite of a sport. According to these skills, experts rate boxing at the top and fishing at the bottom. This is the reason why some sports that pass the previous four requirements still fail to get accepted in the Olympics. Moderate activities include yoga, dancing, gymnastics, and walking which all burn from 3.5 to 7 kcal/minute. Clearly, when it comes to the degree of physical exertion required in running, it passes the requirement. Running, therefore, passes the fifth requirement having multiple organizations around the world that monitor and facilitate runners. Clearly running is accepted as a sport. It requires great physical exertion, some skill, is done competitively, has millions of participants worldwide, and has International organizations that make rules. Based on these five requirements of a sport, it can pass as one. But the question is when can you say running is your sport? The answer is clear: as long as you do it competitively. So, if you simply run a few miles for health and don’t take part in competitions, you cannot say running is your sport. However, if you do compete once in a while, then running can be considered as your sport.How did you enjoy this article? 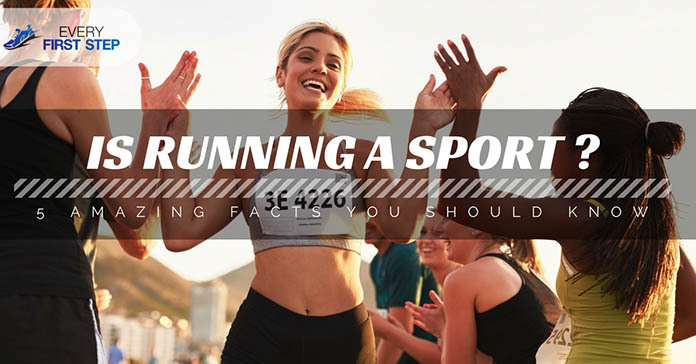 Have you also faced the question about running being a sport? How did you answer? We’d love to hear all your experiences in the comments below so feel free to share. Also, remember to share this article with family and friends to help them realize the truth about running.